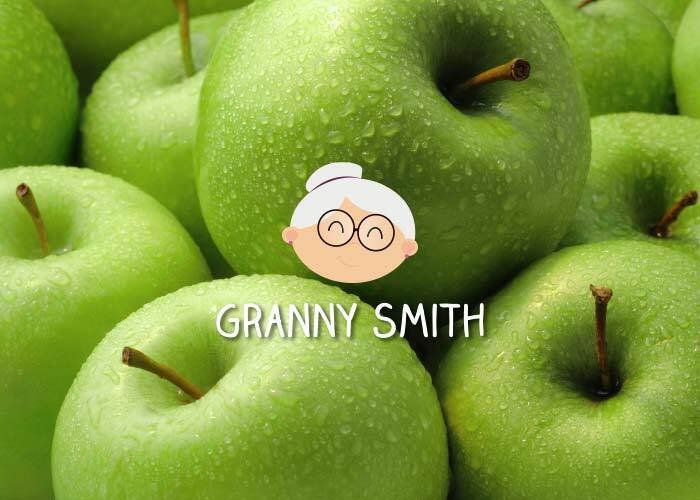 Granny Smith apples have a rich green skin with a crisp, firm, juicy, greenish-white flesh with a distinctive tart flavour which is excellent for cooking. Originated in Sydney, Australia in 1868 by Maria Anne “Granny” Smith. Now one of the major apple varieties grown around the world.